Do you remember the story by Jonathan Swift; Gulliver’s Travels? Or maybe you are a fan or miniatures and Lionel model trains. If so I have just the place for you. In the heart of Times Square there is a fantastic miniature wonderland representing not only New York City, but many places around the world. These are all represented and laid out for you at Gulliver’s Gate. So what is it exactly? It’s best described as an on-going exhibition of major landmarks of the world. They are all represented in miniature form and in great detail with numerous staged vignettes. The majority of these “scenes” are static but some of them move with the turn of the magic key given at check-in. These are clearly marked by lit up boxes located on the railings. These will activate a helicopter in manhattan, Skiers down the Alps, concerts in London and even an old lady feeding chickens. The challenge for some of them is finding exactly what some of them activate from all the scenes laid out before you. It’s a fun little game and is a great way to interact with the exhibition. My a favorite part was just looking at the great detail and little pieces that may go unnoticed unless O’Neil really looking hard. They could easily put together a “Where’s Waldo” type scavenger hunt with all the random little things that are placed in the exhibition. For instance, try finding the crouching tiger-like flying fighters in the Chinese Village. Or the Totem Pole in the Alaska Airport scene. And with New York City so well represented it is fun just trying to name all the notable landmarks. There is even the Roosevelt Island Tram (hint, look up). Finally here is one of the coolest things, you can step into a 3D Pinter and have your likeness created in three different sizes to take home with you! The detail on these statues like everything else in absolutely incredible and when you get one done you also get a miniature version of you to place somewhere in the Gulliver’s Gate exhibition. The detail and scope of this fantastic exhibition is one that warrants a visit to excite, entertain and educate both young and old. Go and see what you can find at Gulliver's Gate! One of the most anticipated openings this holiday season is not on Broadway, but happening worldwide, the newest installment of Star Wars. Star Wars has become the modern folktale passed down from generation to generation and now introduced to a whole new age group with the newest movie, The Force Awakens. With the new movie there has been tons of commercial promotions and tie-ins but one of the most interesting thing I saw is at The Discovery Times Square on 44th Street. 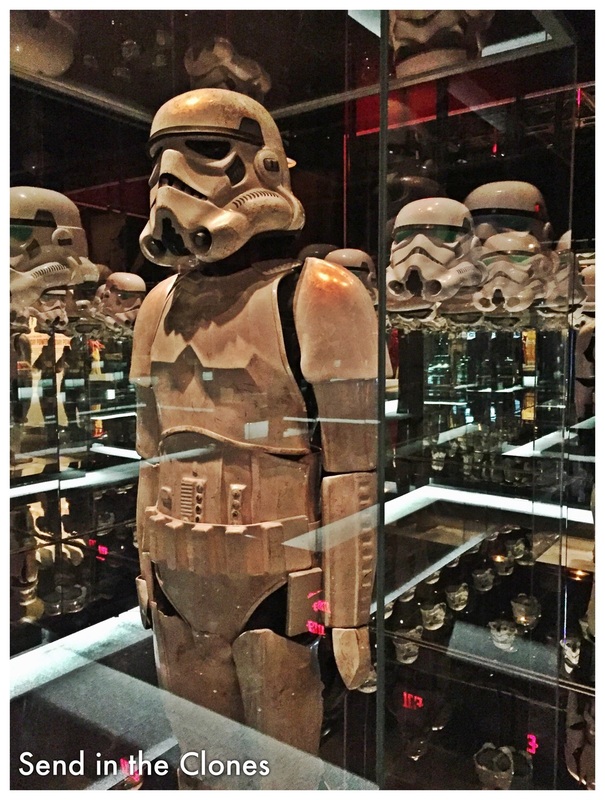 There is an exhibit just opened called "Star Wars and the Power of Costume." Anyone that is a fan of the first trilogy, of all the films or if you are just being introduced to the Star Wars lore will find something interesting here. Featured at this exhibit are numerous costumes from all six of the previous films and some from the upcoming film. There are details on the inspiration of the costumes, the process of creating them and the materials that went into making them. You will see different costumes and how they work with the various character progressions through the films. 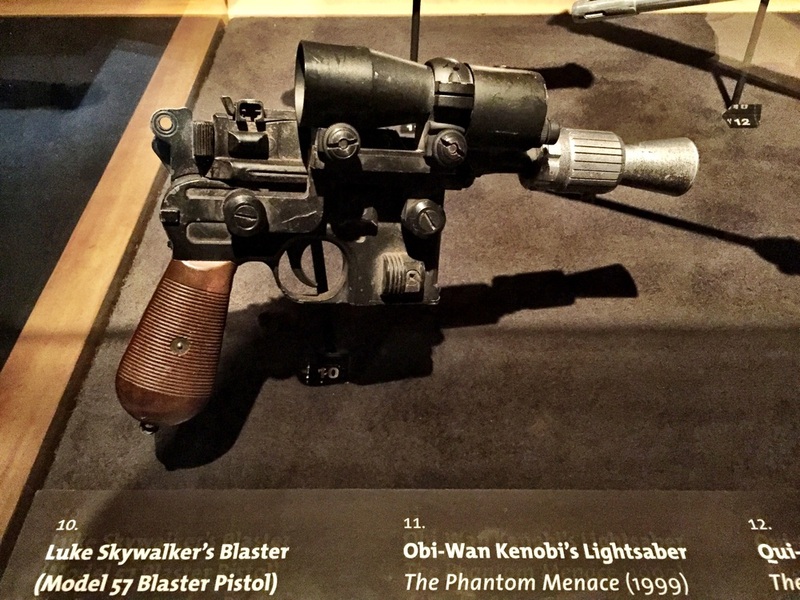 They also feature iconic props and how they were created like the lightsabers and blaster pistols. There is also the slab of Han Solo frozen in carbonite hanging like a wall ornament. Finally with the power of virtual reality you can become a Stormtrooper yourself! 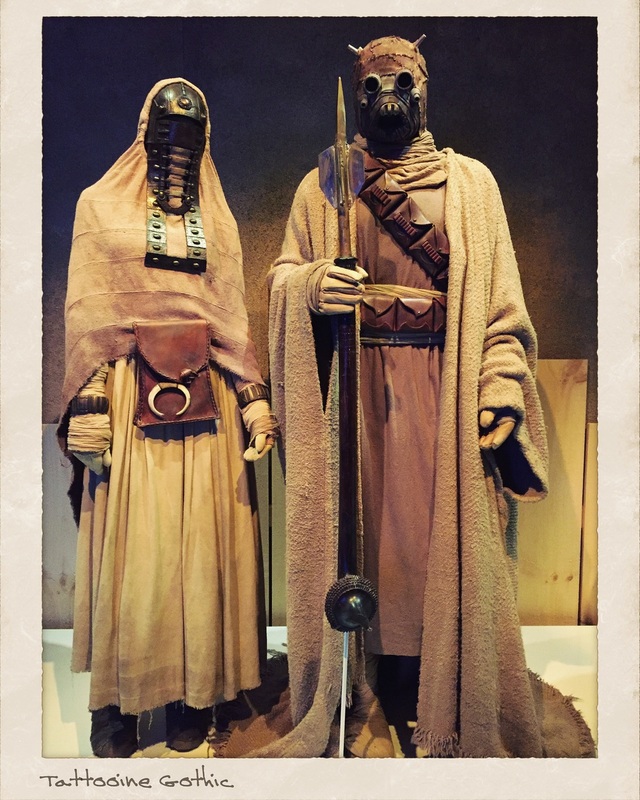 As a huge fan of Star Wars I thoroughly enjoyed this exhibit, seeing all the fantastic costumes up close, finding out about the history and process of the making them and just generally getting excited about the upcoming movie. 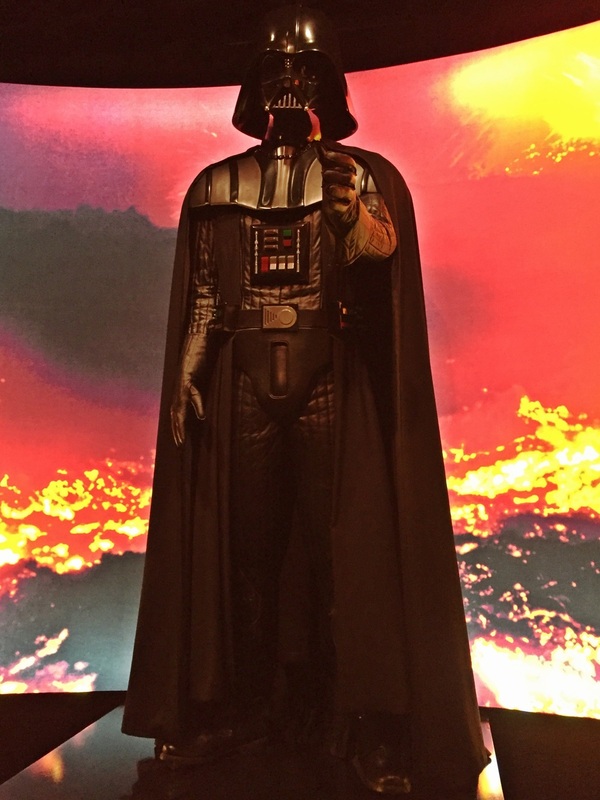 This is a great exhibit for Star Wars or costume fans of all ages. 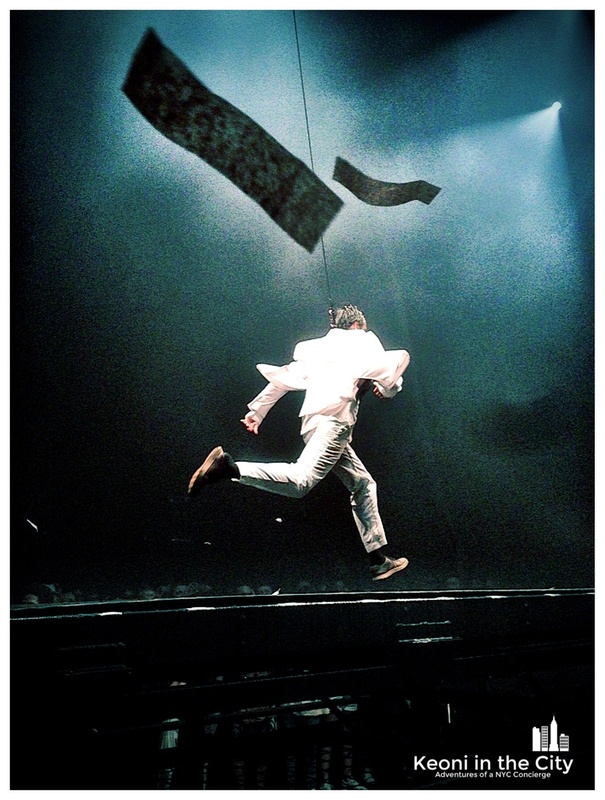 Making its return to the Daryl Roth Theatre is, Fuerza Bruta, the interactive performance art piece that had a previous long run and was very popular. This time it is billed as WAYRA which means... what the heck does it mean? Well Fuerza Bruta is "brute force" and WAYRA doesn't seem to mean anything except what the performers scream and yell at various points throughout the show. But in the end it doesn't really matter since you shouldn't really don't need understand what they are saying it's more important to just enjoy the spectacle. 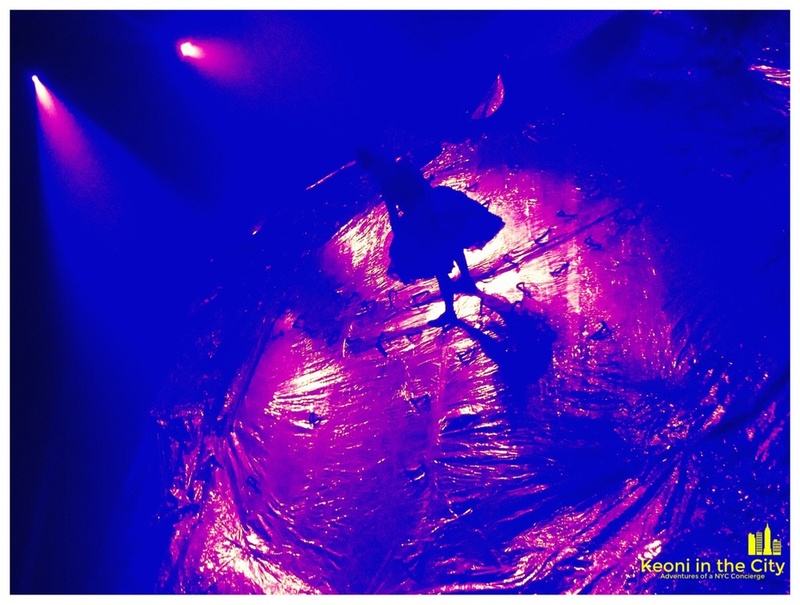 If you saw Fuerza Bruta before WAYRA is essentially the same show with an added scene of performers climbing through a wind tunnel shaped like a large plastic tube. 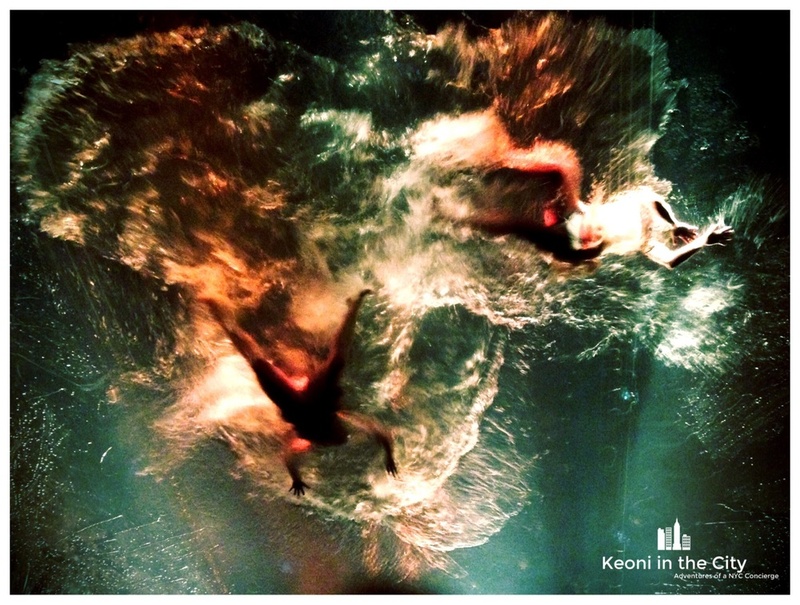 The running along the walls, line dancing and half naked girls swimming around in a see-through glass tank are still a part of the show. As is the famous running man dressed all in white running through walls of boxes and avoiding obstacles until getting shot. The audience meanwhile is corralled and moved around as needed to allow the action to happen right in front of you. You essentially are part of the show/experience and thus are taking part in the creation of art. This is one of those shows that needs to be experienced and seen in person as it is hard to describe to one that hasn't been. It is a fun experience and something different from the standard show tunes of the Great White Way. It is appropriate for all ages and since there are no seats a group of people can go and experience the show together. Just be aware that you will have to stand the whole time and move around as directed.